14 million cases of major illnesses tied to smoking in U.S.
Cigarette smoking accounts for approximately 14 million major medical conditions that plague the lives of U.S. adults, according to a new government report. "For each annual death, there are 15 to 20 people living with major disease caused by smoking," said senior study author Terry Pechacek, associate director for science at the office on smoking and health of the U.S. Centers for Disease Control and Prevention. "Smoking not only will kill you, it will damage your health and make your life worse." Smoking harms nearly every organ in the body, often causing multiple serious illnesses such as emphysema, diabetes and colon cancer, according to the report from the U.S. Food and Drug Administration and the CDC. Chronic obstructive pulmonary disease (COPD), which includes chronic bronchitis and emphysema, is the illness most tightly linked to smoking, researchers report. About 7.5 million U.S. adults suffer from smoking-related COPD, which makes it harder and harder to draw breath as time passes. 1.8 million cases of diabetes. The researchers said their findings regarding diabetes are particularly concerning. "We've known for quite a while that smoking makes diabetes outcomes worse, and diabetics who smoke are really placing themselves at great risk," Pechacek said. "But if people smoke who have a tendency toward diabetes, are pre-diabetic, they are at a much higher risk of progressing to full diabetes." "Smoking causes diabetes and makes it much worse," he said. "People are not aware of that." The study relied on data gathered from two national health surveys from 2006 through 2012 to produce the first estimate of smoking-related illness since 2000, when the CDC estimated that 8.6 million people had 12.7 million major medical conditions caused by smoking. This time they found that 6.9 million U.S. adults had a combined 10.9 million smoking-related medical conditions. Then they factored in COPD estimates and concluded that U.S. adults had a combined 14 million smoking-related illnesses in 2009. "The implication is that smoking causes more harm than we previously thought, much of it in chronic pulmonary obstructive disease," said Dr. Steven Schroeder, a professor of medicine at University of California, San Francisco and head of its Smoking Cessation Leadership Center. "When you think about how smoking hurts you, people usually think about deaths first, and then those who are sick. There is much more lifetime illness related to smoking." Schroeder said he was surprised that researchers found even though women have a lower overall rate of smoking than men, they have a higher rate of COPD. An estimated 4.3 million female smokers have COPD, compared with 3.2 million male smokers. "Part of it might be that women may be more susceptible to getting pulmonary disease when they smoke," he said. "It also might be that they live longer, and so have an enhanced lifetime risk." Even though these facts are gloomy, there is one bright ray of hope in them, said Dr. Norman Edelman, senior medical advisor for the American Lung Association. "Smoking is still the most correctable cause of death and illness in the United States," he said. "When I have a patient with sleep apnea because he's overweight, it's very, very hard to get him to lose weight. But we have shown that we can effectively help people quit smoking. 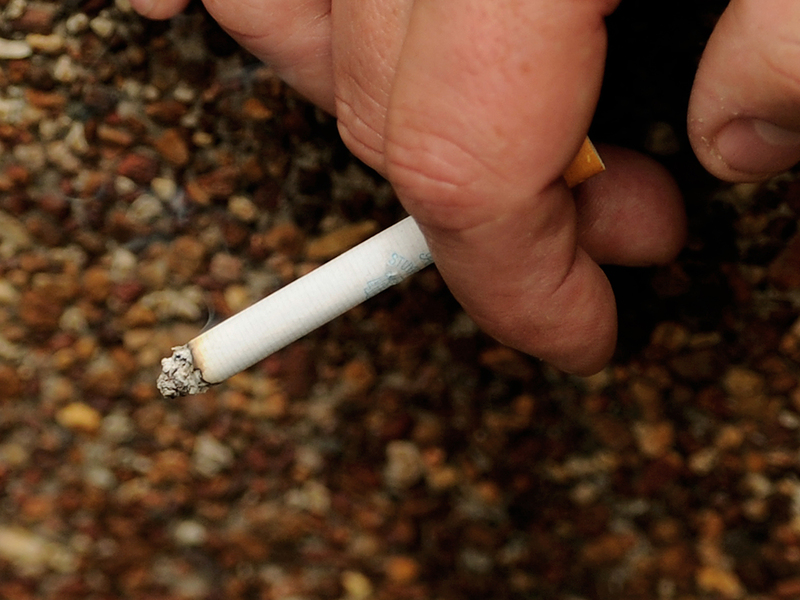 We've been able to reduce smoking rates in the adult population by about half. It's a health crisis that's amenable to a solution, if we make an effort." "Millions and millions more people would have suffered and died, or still be suffering with disease, if we hadn't cut the smoking rate," he said. "The message is clear. Quit, quit as early in life as possible, and don't be afraid to talk to your friends and family who are still smoking."